I always think it’s nice when people that are doing the right thing get recognized for it, so I was excited to learn about the 2010 Conservation Landscaping Contest sponsored by the Chesapeake Conservation Landscaping Council. This contest allows environmentally friendly landscapes in the Chesapeake Bay region to be entered to show off their conservation landscaping pride! Almost anyone can enter, including home gardeners, students, schools, businesses and professionals. Properties entered must be located within the Chesapeake Bay watershed. A USGS map of the Chesapeake Bay Watershed can be viewed at http://pubs.usgs.gov/fs/fs12497/fig1.html. works with nature to be more sustainable with less input. An entry fee of $10 is required for each site application and deadline for entry is September 1, 2010. 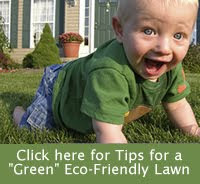 For more information, including the complete rules, visit the Chesapeake Conservation Landscaping Council site.